Photo courtesy of the Imperial War Museum. How about London? Anyone going to London before August 31st, 2015? 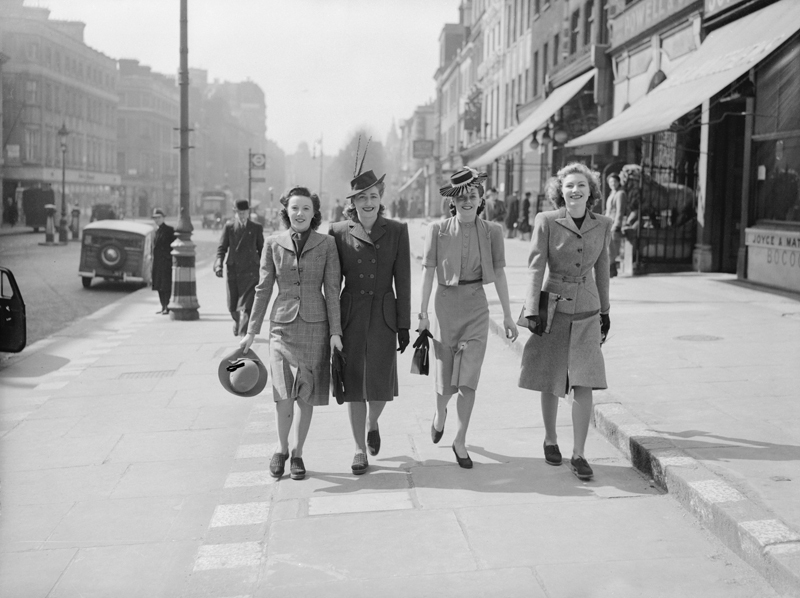 You lucky ducks will have the opportunity to view Fashion on the Ration: 1940s Street Style at the Imperial War Museum in Lambeth. This unique exhibit explores what fashion was like in the UK during WWII when not only food was rationed but so too was clothing. By 1941 one-quarter of the British population was sporting some kind of uniform. Since raw materials and manufacturing had to be redirected toward the production of uniforms and other products needed for the war effort, on June 1, 1941 the British Government announced there would be clothes rationing. Each adult was allotted 66 points a year. For perspective a dress required 11 points, stockings 2 points, a man’s shirt or trousers 8 points. Over the following years those allotments were reduced and clothes rationing didn’t end until 1949 – four years after the end of the war. 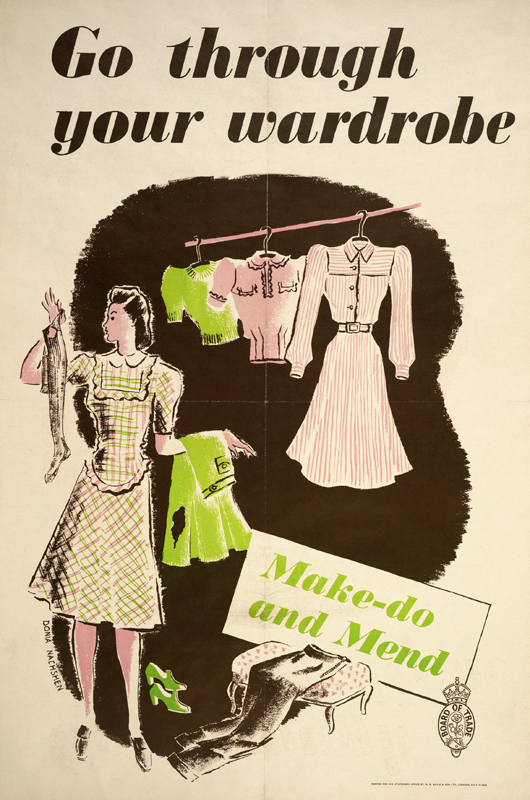 The result of seemingly endless clothes rationing was a societal shift towards more personal creativity in fashion and style as well as a Make Do and Mend approach to wardrobes. Women became adept at transforming old threads into modern looks by adjusting, cutting, and reworking what was already in their closets. Scarcity of fabric encouraged shorter dress lengths and the ubiquitous uniform influenced the now iconic 40s look of shoulder padded jackets and slim skirts. If, like me, you won’t make it to London in time to see the exhibit, do the next best thing and hop onto the Imperial War Museum website to read more about Fashion on the Ration.